Jan. 31, 2019—Maternal antibiotic use during pregnancy was not associated with childhood obesity at age 5, according a national study led by a Vanderbilt pediatrician.  Jan. 31, 2019—About 200 people gathered at Light Hall on Jan. 15 for the kickoff of the 2019 series of Advanced Practice Grand Rounds, a monthly educational series organized by the VUMC Office of Advanced Practice. Jan. 31, 2019—Using data from the UK Biobank and Vanderbilt’s BioVU, a new study in the journal Molecular Psychiatry finds that approximately 4 percent of suicide attempt risk is captured by genotype data. Jan. 31, 2019—Rachel Forbes, MD, MBA, assistant professor of Surgery, has been appointed associate chief of the Division of Kidney and Pancreas Transplantation. Jan. 31, 2019—A study by researchers at Vanderbilt University Medical Center has strengthened the link between thyroid function and atrial fibrillation (AF), an irregular heart rhythm that increases the risk of stroke and other heart-related complications. Jan. 31, 2019—Around two-thirds of patients treated for breast cancer will have had hormone-sensitive tumors and, after their initial treatment, will be advised to undergo hormone therapy for five to 10 years to prevent recurrence. Jan. 31, 2019—Preventing the formation of secretory structures that promote scarring in the kidney could offer new therapeutic options for a disease that affects millions of people worldwide. Jan. 31, 2019—Daniel Barocas, MD, MPH, associate professor of Urology, is being recognized with a national award from the Society of Urologic Oncology (SUO) for his efforts to develop urologic cancer quality measures.